All Nolan Catholic female student-athletes interested in playing soccer this season please attend try-outs Monday, October 29th from 7:00pm-9:00pm in the evening. Please meet down at the stadium at 6:45pm so we can start promptly at 7:00pm. All players will need to bring running shoes, cleats, and water. For more information contact head coach, Jay Fitzgerald at jay@jatoathletics.com. 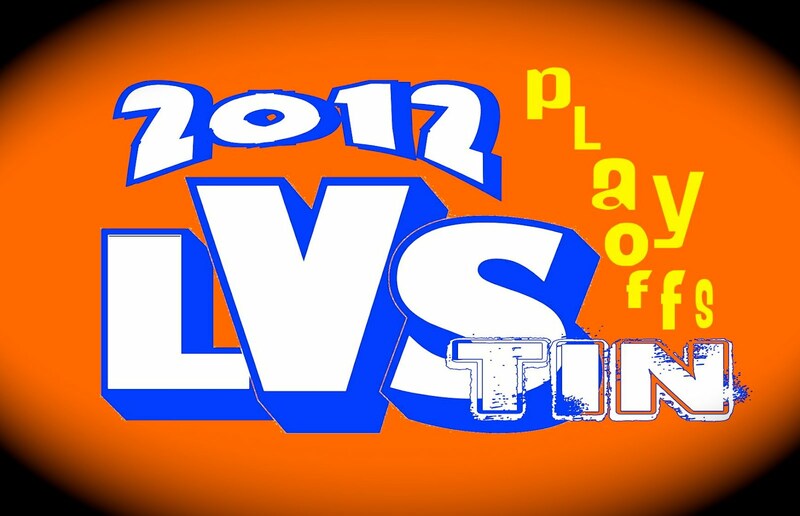 TEAM LVS Try-outs are a week from Monday on October 29th from 7:00pm-9:00pm at ther Stadium. More information to follow. Anyone interested in playing soccer this season should be in attendance. The Lady Vikings hit this full week on the field with more technical self-improvement exercises on Monday, fitness on Wednesday, and going to goal on Friday. The team is starting to take shape and players are beginning to get outside their comfort level. "It is nice to see the individual personalities come out," commented head coach, Jay Fitzgerald, "Each player needs to add their own style to the program." Story telling on Tuesday allowed everyone to continue to get to know each other and on Thursday, the mentoring groups were back together. TEAM LVS enjoyed a 4-day week with Technique and Tactics on Tuesday and Friday and Classroom on Thursday. Wednesday the entire program spent time with the residents at the Lakewood Village Retirement Home. 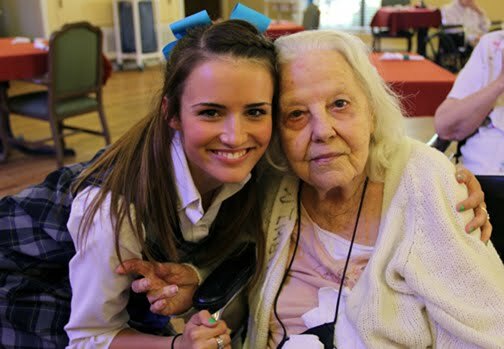 The Lady Vikings were able to touch the lives of the residents in many different ways from serving cookies, to painting nails, to just listening to stories. 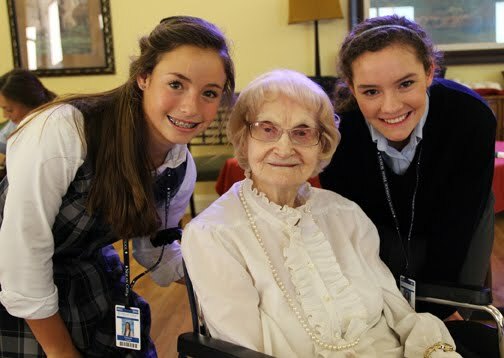 Many of the residents have no family to come visit them, so having these young ladies around the home, brightens the day for these residents. The Lady Vikings will continue to be active in the Lakewood Village Retirement Home throughout the year. A full week for the first time in 2 weeks, saw TEAM LVS get to work on the field on Tuesday and Friday... the team is getting a lot of work on the technical elements of the game and this week in and around goal. Friday the team got an opportunity to go to goal in 2v2 and 4v4 situations and the group looked sharp. On Monday, Wednesday, and Thursday the group spent time in the classroom organizing their leadership manuals, with an emphasis on details, mental evaluation, and IMPACT. The group also discussed what they have determined as their building blocks. It was exciting to see so many players give their input. 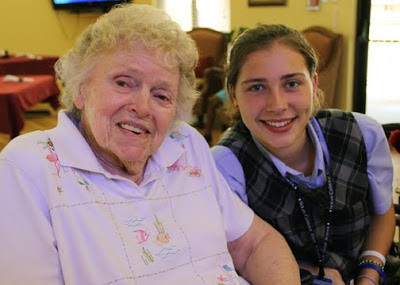 Next week, the players will begin their fitness logs and travel to Lakewood Village on Wednesday. The Lady Vikings enjoyed a 4-day week with the group celebrating Labor Day on Monday. The team comes in on Tuesday and hit the field with a technical session followed up with a possession emphasis. Wednesday and Thursday the group was in the classroom hitting on the Mental Makings of a Champion and their Mentoring Groups. The discussions are becoming much more interesting as more players are getting involved. Friday the group hit the field again with a technical emphasis on taking space and dribbling. As temperatures rised above 100, the group pushed through and are becoming more comfortable with each other. Week 4 will be the first full week in 2 weeks and the focus will continue on getting the group closer with each other on and off the field. A short week this week with early dismissal on Wednesday and a Pep Rally today, but much covered in Week 2 of the Lady Vikings quest for their 5th State Championship. The Lady Vikings continued working on their Leadership Manuals to set the tone for the year, focused on their mentoring groups, made their weekly visit to Lakewood Village Retirement home, and collected materials to decorate the locker room. 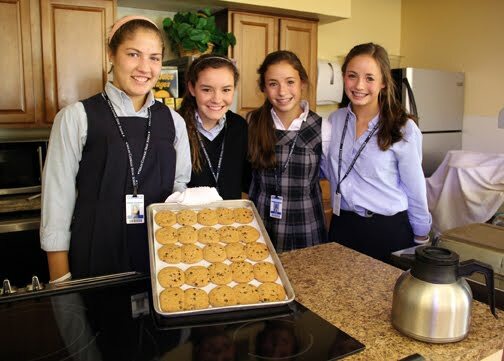 Team LVS "Something Special About You" Brackets comes to a clsoe with Maddie Cook's, "touched by Sandra Bullock" taking the top spot. The group will hit the field a couple days next week and in the classroom the players will discuss their IMPACT sheets that are due on Tuesday. It has been an exciting week as the group is getting familiar with each other through community service projects, mentoring groups, and leadership activities. TEAM LVS spent the week in the classroom going over the upcoming year and then hit the field on Friday and head coach, Jay Fitzgerald was impressed. "We have to focus on the details and keep it simple," Fitzgerald commented, "I am happy with what I saw today." The players will continue to discuss the building blocks of a Lady Vikings Program that has enjoyed a tremendous history of success. The 2012-2013 Lady Vikings will go for program win #500. The Nolan Catholic Women's Soccer Program has an average of 17 wins per season for an overall record since the 1983 season of 491-178-75. The upcoming season couldn't get here fast enough after a heartbreaking golden goal defeat to St. Agnes with 16 seconds to go in double OT last season; the first season in 12 years the Lady Vikings have not made it to the State Championship match. With 62 players signed up to play soccer this year, this looks to be a very exciting year. The 62 players is the 2nd most to sign-up to play soccer since the 2005 season when there were 3 teams under the LVS umbrella, a varsity team and 2 JV squads. Jay Fitzgerald returns for his 14th season as head coach for the Lady Vikings along with his brother, Todd as his assistant. New to the staff this year is Alex Mechalske, who is the most decorated Lady Vikings player in the history of the program. All players will meet in room E10, Thursday, August 16th at 2:25pm. 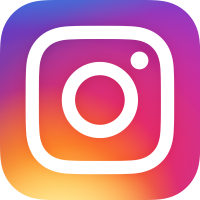 Stay tuned for more updates, information, and excitement about TEAM LVS throughout the year by following us on our blog and on twitter @nolansoccer. 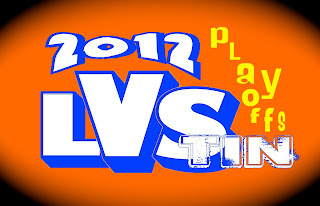 The LVS Team Camp begins Monday and runs through Wednesday. The camp is from 7pm-9pm each night at Doskocil Stadium. Those players who are not registered can go on the Nolan Catholic website at www.nolancatholichs.org and click on the Athletics tab under Student Life. "We are very excited about the upcoming season. I am very intrigued by the group and can't wait for everything to get started in August," commented LVS Head Coach, Jay Fitzgerald. 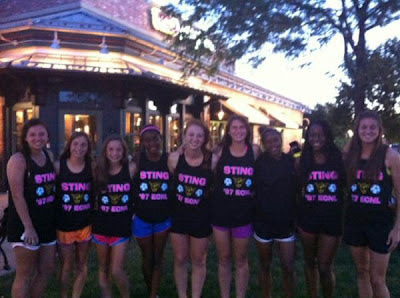 Private school girls on the Sting 97 team go for their 2nd straight National Championship in Waukegan, IL this weekend as they take on Crossfire today at 12:00pm. They defeated the nations #1 team from GSA yesterday in the quarter-final by a score of 2-0 to earn the chance to move on in the 3rd Annual ECNL National Championship Event. Pictured above are players from the Sting 97 team that compete against each other in the winter with their respected college preparatory high schools. Congrats to LVS Sophomore, Chelsea Surpris and Gabbie and Gwennie Puente for advancing to the quarterfinal round of the ECNL National Championships with their Sting 97 club team. The team arrived on Saturday and played in the round of 16 yesterday against the Surf Soccer Club out of San Diego. Gwennie Puente had a part in the game winner with 5 minutes to play as she was able to get in behind and lay off a beautiful ball in front of the goal for one of her teammates to secure the 3-2 win. 2011 State Champion, Elizabeth Havenhill looks to win back to back State Titles this weekend in Waco in the 800, 400, and the Mile Relay. While the Puente twins look to capture their first. The 2011-2012 Nolan Catholic All-Sports Banquet will be this Sunday at 2pm in the Arena. 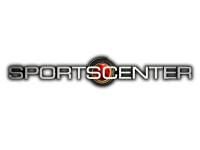 The sports video will begin at 1:00pm and will be replayed after the ceremony around 4:30pm. There will be a reception in the Arena lobby with light refreshments following the ceremony. Competition never stops at LVS. Off-Season training began today and will continue into May every Monday and Friday. The goal of off-season training is to develop an overall comfort level amongst the group. It is important for the players to learn each others tendencies. The focus is attention to detail, making soccer decisions and solving problems in a small-sided, fun environment. Off-season training begins on Friday. Training will be for only a hour from 3:30pm-4:30pm. All players who are not currently playing another sport are expected to attend, junior varsity and varsity players. Players need cleats only. Full schedule is to the right under "Weekly Schedule". The end of the year came a bit too soon for the youngest team in school history with 9 underclassman and only 4 seniors. With a 12-7-7 overall record, with a National Ranking as high at #19, the Lady Vikings proved that they deserved the national respect they continue to receive. They continue to host the nations top high school showcase, 10 years running, while making it to the Final Four for the 12th straight year, 20 in all since 1990. Twelve straight Regional Championships and a bright future for this group of young ladies to add to the storied history of Nolan Catholic Lady Vikings Soccer. The Annual LVS Team Banquet is this Friday at Woodhaven Country Club. 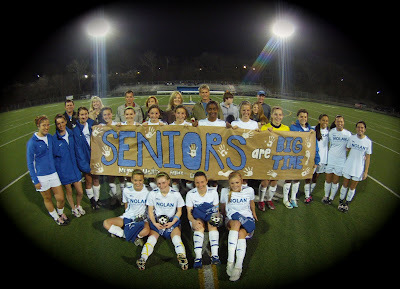 The LVS Varsity Team will be joined by their family and friends to look back on tons of memories from another amazing year. Doors open at 6:30pm as everyone gets settled with pictures and bonding as dinner will follow. The program will begin after dinner approximately 7:40pm. Then the traditional LVS12 Movie: Cherish the Memories premiers at 8:30pm. It is a wonderful 80 minute production of a year full of friendship, memories, good times and don't forget, plenty of soccer. Congratulations to freshman, forward Gwennie Puente by being selected to the TAPPS 1-5A Newcomer of the Year for the 2011-2012 season. See joins good company as last years Newcomer of the Year was LVS teammate, Elizabeth Havenhill. This acknowledgment adds to her district 1st Team selection as well as her, TAPPS 1st Team All-State and All-Tournament selection. 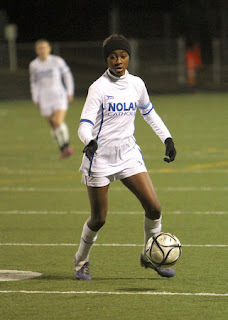 She was the Lady Vikings leading scorer with 18 goals and 9 assists for 45 points. The ECNL/id2 Player Development Program is designed to identify top players in each region and gather those players for a weekend training and developmental camp. Throughout the spring, the ECNL and US Club Soccer are sponsoring 10 ECNL/id2 Player Development Program weekends across the country, inviting players from nearby clubs. Players from all eight clubs in the ECNL Texas Conference took part last weekend’s PDP event at the FC Dallas complex in Frisco, Texas. ESPNHS spoke with a few of the coaches who helped make it all happen after the event to find 11 players who stood out this weekend. Players are listed with club and high school. Congratulations to the following LVS Players who have been selected to the following TAPPS All-Star Teams.... Full team results will be updated on the TAPPS website at a later date. District Superlative selections will also be announced at a later date as well. The only team that is published at this time is the TAPPS Final Four All-Tournament Team (Click Here for the full team All-Tournament selections). 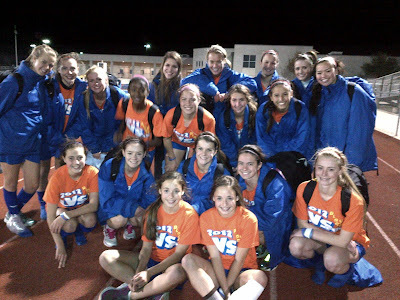 Check back for links to full teams or check on the TAPPS website at http://www.tapps.net/ under winter soccer. The Lady Vikings season ended in a heartbreaker as Kimberly Polasek's goal off a corner kick with 16 seconds left in the second 10-minute overtime lifted the Tigers (21-1-2) to victory at Benson Stadium. Soccer is a cruel game and probably the only game where a team can own the majority of the game and come away with a loss. The Lady Vikings outshot the Tigers 11-3 where the only 3 tiger chances came off of set plays, 2 of which found the back of the net. At 13-8-7, Nolan Catholic had three opportunities to score in the final 8 1/2 minutes, off two free kicks and one corner kick all well within goal range, but were denied each time. The closest came with 8:20 remaining when freshman, Chelsea Surpris' free kick from 24 yards out ricocheted off the top cross bar and followed up by 2 rebound shots, one hitting a Nolan player and one was picked off by the St. Agnes goalkeeper. "We had chances to win, but you have to execute, period," Vikings coach Todd Fitzgerald said. "We just couldn't finish it." Ashley Ficsher used Gabbie Puente's outside cross to put Nolan ahead 1-0 early in the second half. St. Agnes answered with 10:30 remaining in the game when Allison Carter tapped in the equalizer off a corner kick. Most of the contest was played in a constant miserable drizzle, and overtime was delayed nearly an hour due to lightning in the area. The future looks extremely bright for the lady Vikings as they only lose 4 seniors and return 16. The Lady Vikings are in the Final Four for a 12th straight year and making the most of it. It is about routine, sticking to a plan, and grinding it out. Nolan Catholic Women's Soccer prides itself each year on playing one of the toughest schedules in the country. They already play Ursuline twice in district play and then kick off the New Year by hosting the best high school girls soccer showcase in the country with teams spanning from the West Coast to the East Coast. Pressure is important to the success of the program and with 10 underclassman on the roster this season, that is what they have been faced with. Those youngsters account for over 50% of the Lady Vikings scoring this season. This would not be possible without the experience that the upperclassman have been through. In the post-season, that is what matters... Experience. Have you been there? Well for 3 players on the team, the Final Four is a familiar place. Senior, captain Megan Billingsley has played in 3 while fellow seniors, Lindsay Murray and Allaire Langdon have both participated in State Championships. Murray scored the last goal for the Lady Vikings in the State Championship, just 3 minutes into the match against Ursuline last year. The Lady Vikings start the weekend tomorrow morning at 11:30am at the University of Incarnate Word vs St. Agnes, whom Nolan defeated last season in the Regional Championship by a score of 1-0. Lady Vikings win 12th straight Regional Championship, their 23rd overall. Gwennie Puente scores her 18th just into the 2nd half to put Nolan on the board. Kathleen Keoghan played a ball out of the back and Emma Chandlee collected the ball at midfield who slipped a nice ball over the top to Puente for the first goal. Chelsea Surpris drove a free kick just inside the near post for her 3rd of the year which turned out to be the game-winner. The Lady Vikings gave one up in the 73rd minute but not before senior, captain Megan Billingsley put the Lady Vikings up by 3 off a corner from Surpris. Tonights game saw the Lady Vikings outshoot Antonian 22-2 with a 8-0 edge in corner kicks. Now at 13-7-7 on the year, the Lady Vikings look to advance to their 12th straight State Championship match. The Lady Vikings will head to the Final Four next Thursday in San Antonio. The 1st semi-final will be played at 9am (Ursuline vs Bishop Lynch) and the 2nd semi-final will match up the Lady Vikings against St. Agnes. The Lady Tigers defeated John Paul in a shootout 3-1. The Regional Match between Nolan Catholic and San Antonio Antonian will be played this Friday at 5pm at Hendrickson High School Stadium in Pflugerville, TX. FORT WORTH - The Nolan Catholic Women's Soccer team moves on in the playoffs after a 4-0 win over Houston St. Pius X this morning. Junior, Maggie Kleiser got the scoring started with her 30 yard blast in the 16th minute. Kleiser scored a similar goal the week before on the road against St. Stephen's. The match started out a bit slow with both teams trying to settle in and get a rhythm but the Kleiser goal ste the tone and in minute 24 and 36 on a pair of goals from freshman, Gwennie Puente. Outshooting the Lady Panthers 24-2, the Lady Vikings continued to put on the pressure but the St. Pius X, goalkeeper came up with some impressive saves. 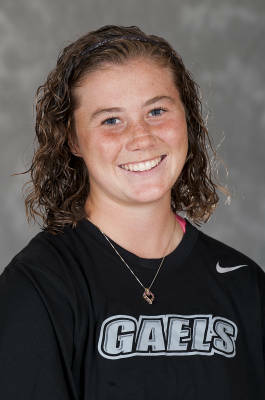 Senior, Lindsay Murray had 6 shots on goal herself and was finally able to put in her 7th goal of the year in the 75th minute. The Lady Vikings earned a first round playoff game and were happy to get to play one last match at home before going on the road this Friday against San Antonio Antonian. Details TBA. The winner will then move on to the State Final Four which is being held in San Antonio for the 3rd straight year. With the win, the Lady Vikings improve to 12-7-7 overall. Light training today consisted of a trip to Northeast Mall for LVS Time.... That TIME IS NOW!! The Nolan Catholic Women's Soccer Team took in a scary movie and headed to dinner in preparation for the Area Round of the TAPPS Playoffs which kicks off tomorrow at Doskocil Stadium on the campus of Nolan Catholic High School. The match will begin at 11:00am. The Lady Vikings were not as fortunate last year when they had to go on the road during their entire playoff run, NOT THIS YEAR. They have done what they needed to do to host the first round in front of their fans. The 11-7-7 Lady Vikings are young, experienced, and confident. Those are the ingredients needed to make another run at a State Championship. The Final Four is set in San Antonio again. Regionals will be at a neutral site. Come out and support your Lady Vikes!! The Lady Vikings spent the first 8 weeks of the season ranked in the Top 30 in the country, as high as #19, in the ESPNHS National Poll. After going 2-1-1 in the nations top high school showcase, the National Elite Prep Showcase, they hit a bump in the road against the nations #2 team, Marcus. They then, were one game away from advancing to back to back Allison Horn Memorial Showcase Championship games before being upended by Keller. After 2 consecutive showcase weekends, the Lady Vikings traveled down to Austin to face St. Stephen's which ended in a draw. That trip was all the Lady Vikings needed to realize they are playing their best soccer of the season. On senior night, this past Tuesday night, they fell behind to 4A public school powerhouse, Highland Park, before storming back in the 2nd half on a Emma Chandlee equalizer. Highland Park is currently undefeated. After they evened the score, the Lady Vikings had several chances to go ahead but eventually ran out of time and had to settle for another draw, their 7th draw of the season. "We pride ourselves on playing the nations most competitive schedule year in and year out," said Nolan Catholic head coach, Todd Fitzgerald. He added, "We want our young ladies to feel the pressure on a regular basis, because now a days, that is life and it is extremely important that our players leave this program with the necessary skills on and off the field to make intelligent decisions as they move on to the next stage of their lives." The education of life through soccer is what Lady Vikings Soccer is all about. The Lady Vikings finish the regular season with an overall record of 11-7-7 which has put them in a position to host Houston St. Pius X in the Area Round of the TAPPS Women's Soccer Division 1 Playoffs. Now, records are all at 0-0-0 and the Lady Vikings will look to improve on their consecutive streak of 12 straight State Championship appearances. Saturday kick-off is set for 11:00am at Nolan Catholics Doskocil Stadium. Come out and support your Lady Vikings. The Lady Vikings played one last regular season match before the playoffs begin on Saturday. Undefeated 4A powerhouse, Highland Park came to town and the Lady Vikings were up to the test. The match was back and forth with the Lady Vikings putting a lot of pressure on the Lady Scots back line and then the momentum started to change and Highland Park got on the board and took the lead just before halftime. Melissa Brodnicki, Megan Billingsley, Allaire Langdon, and Lindsay Murray were all honored at halftime. In their 4 years of commitment to Lady Vikings Soccer, the program has won 75 matches and have outscored opponents 273-109. Their service to the program is truly appreciated. Just after halftime, the Lady Vikings took some time to get the rhythm back in the match but as the match went on, the Lady Vikings set the necessary tone to even the game on a goal by Emma Chandlee. The goal will be a candidate for Goal of the Year. The ball was picked up at midfield by Gwennie Puente and she took it about 40 yards while Chandlee made an overlapping run out of the midfield and just as she got herself through the Highland Park backline, Puente slipped a ball through into her stride and the rest in history. Moments later the Lady Vikings had 3 quality chances to score the go ahead goal and earned their 7th draw of the season. The Lady Vikings are currently at 11-7-7 and open the playoffs as they play host to Houston St. Pius X at Doskocil Stadium on Saturday, February 4th at 11am. The men will follow as they drew Houston Christian in the first round. The 12-6-5 Lady Vikings will play host to Highland Park on Tuesday night at Doskocil Stadium. The JV will kick-off at 5:30pm and the Varsity will follow at 7:15pm. It will be senior night and the Lady Vikings will honor 4 seniors for their commitment and dedication to the Nolan Catholic Women's Soccer Program. Congrats to Megan Billingsley, Melissa Brodnicki, Allaire Langdon, and Lindsay Murray. The Lady Vikings JV Program was crowned Back to Back TAPPS JV Champions with a 4-2 Shootout victory over Ursuline. With an overall record of 8-3-5 on the year and a 4-1-3 finish in TAPPS 1-5A, the Lady Vikings have outscored opponents 29-13 so far on the season. The JV squad will play in there final home match of the season against Highland Park on Tuesday at 5:30pm at Doskocil Stadium. Go Lady Vikes!! Congratulations to Coach Goodman and the Nolan Catholic Women's Soccer Team. After a slow start for the Lady Vikings, they explode for two second half goals by Ashley Fischer and Gwennie Puente. With an overall record of 12-6-5, this was just what the Lady Vikings needed going into the playoffs next week. As the match went on Nolan got better, as the match turned physical, Nolan stayed composed and establish a consistent rhythm which created plenty of space for Fischer and Punete up top. Senior, Lindsay Murray set the tone as soon as she came on the field in the second half and had the assist on the equalizer. Kathleen Keoghnan also made an impact as she was slotted in the middle of the park to balance and link things up. 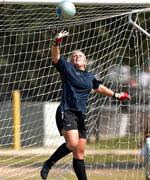 Freshman, goalkeeper Piper Head had a solid 2nd half to keep the Lady Bobcats off the board. The Lady Vikings head to Austin tomorrow to play a friendly event at St. Stephen's. A 14-game district season to start the year and now their 7th game in 9 days, the Lady Vikings get to enjoy a light week with a game on Wednesday night and then a couple friendly matches in Austin on Friday. The Lady Vikings currently sit at #2 in the district and have spent the last 8 weeks in the ESPN Top 30 National Poll. This is the longest consecutive stretch in the National Polls for Nolan Catholic since the National Polls began in 1998 and they have been as high at #3 and been in the Top 10 on 6 different occasions. With an 11-6-4 overall mark, the Lady Vikings look to continue their winning tradition into the playoffs beginning the first week in February. This year they travel down a different path and they have done so with 8 underclassmen. The Lady Vikes had to go on the road during the entire post-season as they finished 4th in the district last season after finishing no lower than 2nd at any time in the history of the program. From front to back these underclassmen are making a difference starting with Gwennie Puente up top with Emma Chandlee, Sarah Brown, Chelsea Surpris, and Rebecca Traynor in the midfield and Gabbie Puente and last years, Nolan Catholic Athlete of the Year and TAPPS 1-5A Newcomer of the Year, Elizabeth Havenhill in the back and in goal for the Lady Vikings is Piper Head. This core of young players have a wealth of experience playing for some of the best clubs in the country and have put Nolan Catholic back on the map gaining local, regional, and national respect. Since 1983, this program is just shy of 500 wins, averaging more than 16 wins a year. They look to advance to their 12th straight State Championship match and capture their 12th straight Regional Championship. Upcoming for the Lady Vikes is Byron Nelson on Wednesday, St. Stephen's on Friday rounding out the season at home hosting Highland Park which is Senior Night honoring 4 seniors: Lindsay Murray, Melissa Brodnicki, Allaire Langdon, and Megan Billingsley. The Lady Vikings head to Colleyville tonight through Saturday to compete in the 2012 CHHS Allison Horn Memorial Showcase. In 2010, the Lady Vikings won their bracket and advanced to the championship match against Plano West were they were defeated by a score of 1-0. The Lady Vikings look to continue that success here at the event tonight against Martin at 8pm at Colleyville Heritage. Friday's match is against L.D. Bell is at 8pm at Mustang-Panther Stadium and then Saturday at 11am vs Keller at Mustang-Panther as well. The Championship Match will be at 5pm on Saturday at Mustang-Panther. The #29 ranked Lady Vikings finish a successful weekend in the National Elite Prep Showcase with its only blemish to #22 ranked Westlake 1-0 at TCU's Garvey-Rosenthal Soccer Stadium. On Thursday the Lady Vikings drew to #19 Kindwood 1-1 and then rebounded on Friday with a 3-1 win over last years UIL 5A State Semi-Finalist Clear Lake from Houston. Then on Saturday Nolan Catholic took on Southern California's Murrieta Valley in route to a 2-0 shutout. The Lady Vikings will take to the road on Tuesday as they travel to Marcus for a 6pm JV match followed by a 7:30pm Varsity kick-off. Lady Vikings, Gaby Larson put the team on the board in the 17th minute in a match that saw a tale of 2 halves. Larson took a clearance and hit it first time from about 25 yards out but the Lady Vikings gave up the equalizer later in the 2nd half and that is the way it ended. The draw marked the 4th on the season. Nolan will look to get into double digits in the win column this weekend as they sit at 8-3-4 on the season. They play host to Clear Lake tomorrow at 10am and then travel to TCU for the first of the evening feature matches, the second between #9 Carroll and Rosary starting at 8pm. Coming off a scrimmage win against Paschal last night. The Lady Vikings take to the field again this morning in the 8th Annual Lady Vikings Alumni Game. Nolan Catholic is celebrating its 50th Year Anniversary and since 1983 the Lady Vikings Women's Soccer Team has won 485 games for an average of more than 17 wins per season. Very exciting times continue for the program that was built on commitment, dedication, and resilience. Lady Viking Alumni as far back as the Class of 1988 joined the party this morning and helped the Alumni put up 3 goals against the current Lady Vikings. 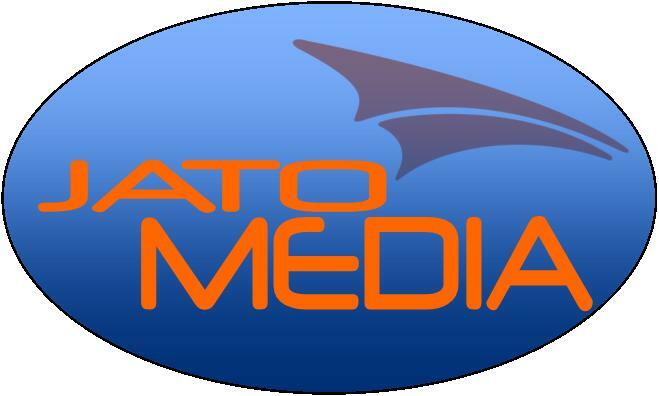 The program has gained local, regional, and national respect throughout the years. 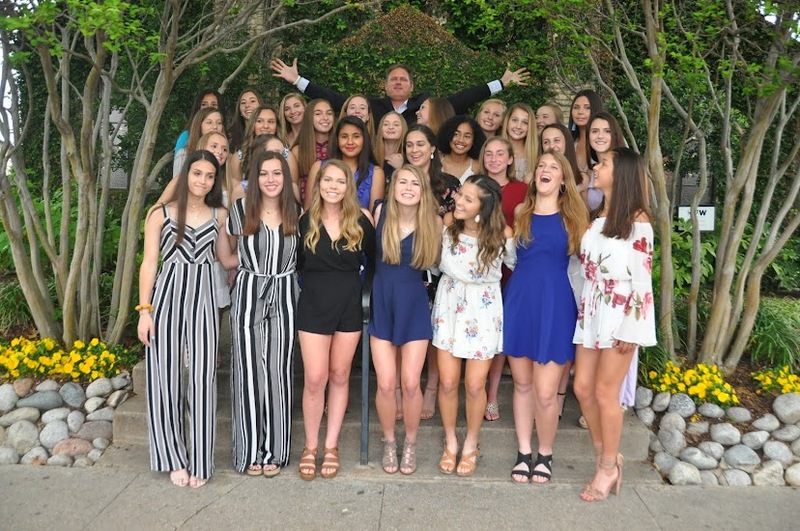 As the top local high school girls soccer team in the City of Fort Worth, they also sit at #31 in the country in the ESPNHS National Poll and have been nationally ranked each year since they stormed on the national scene in 1999 as high as #3 in the Nation. Thanks to everyone who made it out today and we are grateful for the support and hard work you have put into this program. Thanks for helping us continue the Winning Tradition here at Nolan Catholic. The Lady Vikings open the New Year with a district match vs John Paul. The Lady Vikings will host the Cardinals at All Saints Episcopal School in Fort Worth due to the construction of the track at Doskocil Stadium. The varsity match will follow the JV match which kicks off at 6:00pm. The #34 nationally ranked Vikings look to improve on their 8-2-2 record. Nolan will host Paschal High School on Friday at 6:00pm and 7:30pm at TCU's Garvey-Rosenthal Soccer Stadium in preparation for the Nation Elite Prep Showcase which begins on January 12th. The Nolan Catholic Women's Soccer Program will hold its Annual Alumni Game this Saturday at 11:00am.